Is there no escape from Ant and Dec? Those with an aversion to the relentless perky and ubiquitous Geordie presenters could console themselves that at least they had given up their execrable music career. Until now. They were unfortunately persuaded to revive their 90s personas as PJ and Duncan and creak their way through a rendition of their unspeakable 1994 hit 'Let’s Get Ready To Rhumble' (with its inexplicable misspelling) on their Saturday Night Takeaway TV show. Now, fuelled by a Twitter campaign, the track is heading inexorably towards the top of the charts. The track sold 35,000 copies in a couple of days after the TV show, hitting the top spot on iTunes and giving Ant and Dec their first hit in 11 years. They last appeared in the charts with their 2002 World Cup song 'We’re On The Ball,, which most of us have deleted from our memory banks. 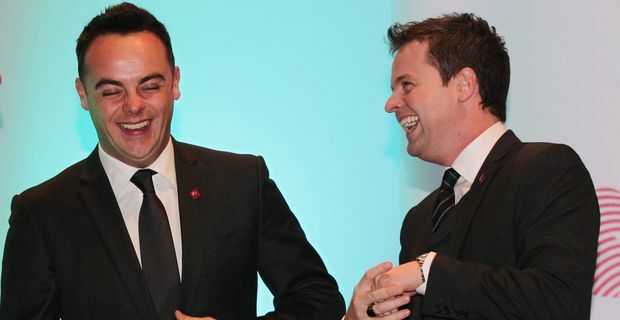 Although their three-year music career launched them to fame, Ant and Dec were always more convincing as a bland light entertainment double act than as pop stars. The performance was part of a regrettable tie-in with another ITV series The Big Reunion. This is a kind of musical zombie series in which the mouldering corpses of long-forgotten pop outfits like Blue, 5ive, Atomic Kitten, Honeyz, Liberty X and 911 are dug up, reanimated and allowed to stagger around onstage terrorising innocent bystanders. Ant and Dec were persuaded to dust off their embarrassing pop act, which in itself was a spin-off from the kids TV drama Byker Grove. The performance sent loyal if misguided fans scurrying for iTunes. The single only made it to number nine on its original release, but now it is heading for the top. "You lot are daft as a brush," the duo tweeted. "How mad? This Monday is very weird."